Product prices and availability are accurate as of 2019-04-22 04:24:30 UTC and are subject to change. Any price and availability information displayed on http://www.amazon.com/ at the time of purchase will apply to the purchase of this product. This affordable inflatable Sport Kayak is as lightweight and portable as it gets, yet still remarkably stable and durable. It weighs just 32 lbs. and packs down small enough to fit in the smallest car trunk. Don't let the light weight fool you. 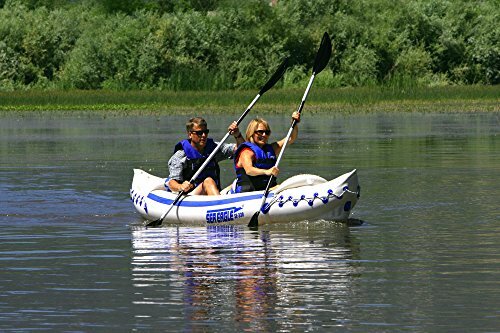 It's a rugged kayak rated to hold 3 people or 650 lbs. However, it's best-suited space wise to accommodate two persons. - We began in 1968 selling an inflatable kayak very similar to our present Sea Eagle Sport Kayaks. Since then we have made many improvements in our inflatable kayaks. Today, we offer superior one-way valves, thicker hull material and an even better material formulation for greater strength, reliability, and durability on the water. 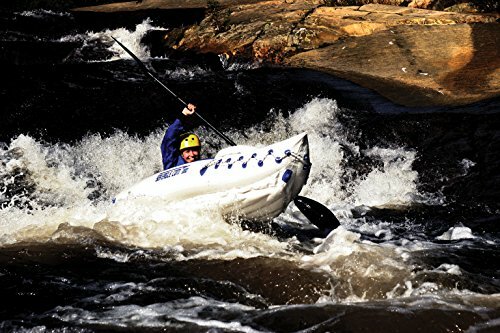 - Sea Eagle Sport Kayaks pack to a fraction of their inflatable size, can be carried almost anywhere there is water and set up in less than 10 minutes! - They are great fun for beginners and experienced paddlers alike. With a lightweight design and efficient hull shape, the Sport Kayaks are swift paddling boats and easy to handle for young or old alike. - When you consider their cost verses the way they can be used, Sea Eagle Sport Kayaks truly represent one of the best values in boating today! Imagine blasting down a white water river--with spray flying everywhere and your heart beating like a drum--or silently paddling down a mirror-smooth lake at dawn. A pleasant dream? Definitely, but also a slice of attainable reality with the Sea Eagle 330 inflatable kayak. Designed to hold up to 500 pounds but weighing only 26 pounds itself, the 330 can up to two adults and gear, but only needs one adult to carry it to the water. It's even tough enough to withstand dog claws thanks to the 33 mm polykrylar hull, I-beam construction, and high-frequency welded seams. Your four-legged friend can therefore stand tall while you do all the work. The Sea Eagle 330 canoe packs down to fit in a storage bag, yet has enough cargo space for several days worth of camping supplies. And it's versatile enough for plenty of uses, from fishing to yacht tending to skin-diving. It can even handle up to Class III whitewater. 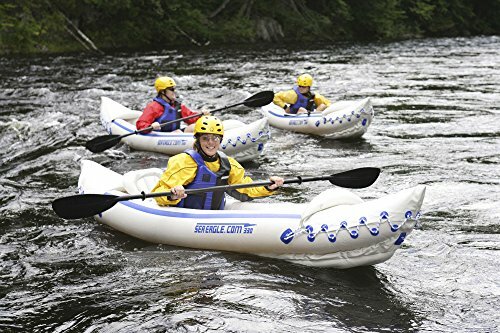 Other details include inflatable spray skirts, front and rear rope handles, and a self-bailing drain valve (a handy feature on whitewater rivers or ocean surf). This pro version of the Sea Eagle 330 also comes with two 8-foot AB30 paddles, two kayak seats, a foot pump, and a storage bag. 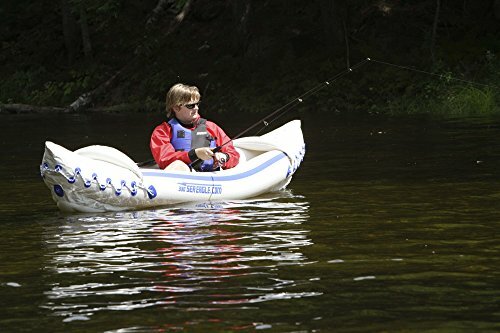 The kayak measures 134 inches long and 34 inches wide and carries a three-year warranty. Exterior: 11' 2" x 2' 10"
Interior: 9' 6" x 1' 1"